Headquartered in North East Ohio, Lake Point Energy can help you reduce your energy costs. LakePoint Energy is an energy consulting firm specialized in energy procurement and management services of electric and natural gas to commercial businesses across the United States. 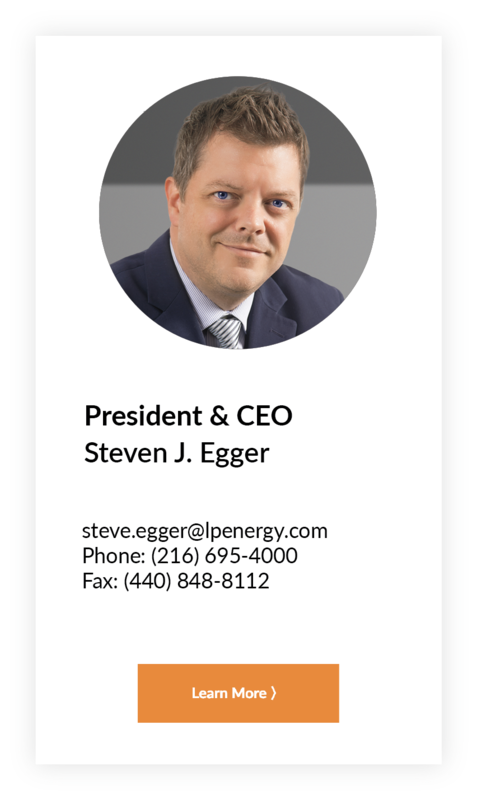 Headquartered in NorthEast Ohio we have been successfully servicing customers since 2008 and bring over 150 years of energy expertise to our clients. Currently serving over 500 commercial clients we are highly qualified to be your energy consultant partners. Lake Point Energy, LLC was founded in 2009 as a Limited Liability Corporation. We started off in our own core companies by analyzing cost cutting solutions for our real estate portfolio. The focus began with in house facilities management then moved to cost saving strategies on natural gas, electricity and water conservation programs. The outcome was so positive that pears and competitors came to us for value added advice in the areas of cost control. Through an extensive network of small, mid and large size companies in which we hold personal and professional relationships, we found a need in the market to help others achieve the same results we did, thus forming LakePoint Energy, LLC. To provide companies unbiased consultation in procuring and managing their electricity and natural gas. Assist our customers with the best service, price and knowledge in regards to energy procurement and management. Become the consultant of choice in energy procurement and management for companies seeking to reduce and manage their energy expenses. A certificate as a Competitive Retail Electric & Gas Service Provider is hereby been granted to, LakePoint energy, LLC whose office or principal place of business is located at 2556 Covington Place, Avon, Ohio 44011 to provide aggregation and power broker services within the State of Ohio. A certificate as a Competititve Retail Electric Service Provider has been granted to LakePoint energy, LLC whose office or principal place of business is located at 2556 Covington Place, Avon, Ohio 44011 to provide aggregation and power broker services within the State of Illinois. A certificate as a Competitive Retail Electric and Gas Service Provider has been granted to, LakePoint energy, LLC whose office or principal place of business is located at 2556 Covington Place, Avon, Ohio 44011 to provide aggregation and power broker services within the State of Pennsylvania. LakePoint Energy, LLC has been approved as a BBB Accredited Business. BBB accreditation is evidence of our commitment to ethical business standards and support of a healthy, educated marketplace where your family, employees and neighbors can shop with confidence. The BBB is an unbiased, non-profit entity that promotes ethical business practices and trust in the marketplace. The Maryland Public Service Commission has issued a license to provide Retail Electric & Gas as broker services to commercial and industrial customers in the BGE, Delmarva, Pepco and Potomac Edison utilities. LakePoint Energy is established with the Dun & Bradstereet Credibility Corp. D&B (NYSE:DNB) is the world’s leading source of commercial information and insight on businesses, enabling companies to decide with Confidence® for more than 171 years. Today, D&B’s global commercial database contains more than 225 million business records. The database is enhanced by D&B’s proprietary DUNSRight™Quality Process, which provides our customers with quality business information.